As a WoC who is an incredibly vocal activist about many topics, I deal with a large amount of silencing. It comes from everywhere. Trolls and internet edgelords are the most frequent...and if I'm being honest, the most predictable and indistinguishable. Yet they can be ignored, I can just choose to not engage them or block them altogether. In my advocacy for fair treatment, I strive to focus on educating privileged people and amplify marginalized people. Sometimes, educating the ignorance out of someone is...harsh. Not everything can be gentle, slow, and sugar-coated...sometimes, I get angry and vulgar. To some people, this is the only way to get through to them! This also leads *faux*allies to ignore me or block me. That, I can deal with, not an issue at all! The real problem arises when social media platforms start to silence us. I can't remember how many of our posts on the Three Token Brown Girls page have been deleted by Facebook. The word "white" gets us banned. Not even kidding...I've gotten banned on Facebook for simply sharing a post that had that word! The most common posts that are deleted because of "violations to Community Standards" are the ones aimed at educating white people. 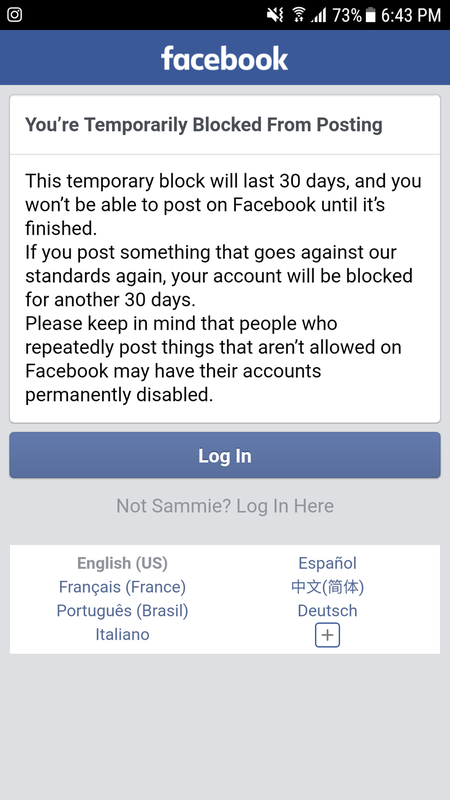 Facebook has deleted our main page...with NO explanation why. They gave all 3 WoC admins bans for...wait for it...OUR LOGO. The little picture a great ally custom-designed for us that simply shows 3 brown and black faces and has "3TBG" written above. Our logo that got Erica and I thirty day bans and Chiany a one day ban. No matter how many times we send feedback or submit forms for help, Facebook refuses to address its racism. They won't even entertain the thought of giving us our page back that they fully deleted, not just unpublished. We worked damn hard to give you all original content and wonderful resources to help in your journey to being more intersectional. Yet all of that effort, time, emotional/intellectual labor, and stress has been erased. It's like we didn't accomplish anything in 7 months. Our 6,000+ followers were left with no answers. What can we, as WoC, possibly do to get fair treatment on social media? What do you, as accomplices, do to amplify us and reach out on our behalf? We are TIRED of being silenced. We are sick to our stomachs of being censored. We all need to come together and refuse to stand down. Keep emailing, keep messaging, and keep calling social media platforms that partake in all of this racism. Keep sharing our words and calls to action. Keep amplifying everything we work so hard to be able to say.